Bristolians are friendly, liberal, free-spirited and extremely supportive of new ventures and ideas. Home to a diverse multicultural and multiethnic community, the city takes huge pride in its cohesiveness and community-led events and enterprises. Bristol’s sense of shared identity is palpable to anyone spending just a few weeks in the city and is embodied by Bristol’s inherently collaborative startup and entrepreneur community. Bristol’s vibe is one of inclusiveness, openness and tolerance, reflected in the city’s proud recent history of championing civil rights and challenging prejudice, encouraging open and frank debate about its troubling involvement in Britain’s slave trade during the 18th and early 19th centuries. Bristol is also a verygreen and sustainable city (it was named European Green City in 2015) and Bristolians are very proud of this. This can be seen in the number of green startups the city produces, like Pukka Herbs, Soil Association, Better Food and Sustrans. The city was also the first to introduce free water bottle refills and has lead the way in promoting plastic-free living. Bristol is renowned for its rich and diverse culture. From Stokes Croft (so dubbed Bristol’s ‘cultural quarter’) to annual St Paul’s Carnival to the esteemed heritage of Bristol Old Vic (theoldest theatre in the country); Bristol’s cultural identity is profound and discernible to anyone who experiences it. The city offers a wealth of independent cinema, plays, cabaret and stand up comedy at vibrant, independent venues such as the Wardrobe Theatre, the Tobacco Factory Theatres, Watershed and Trinity Centre. 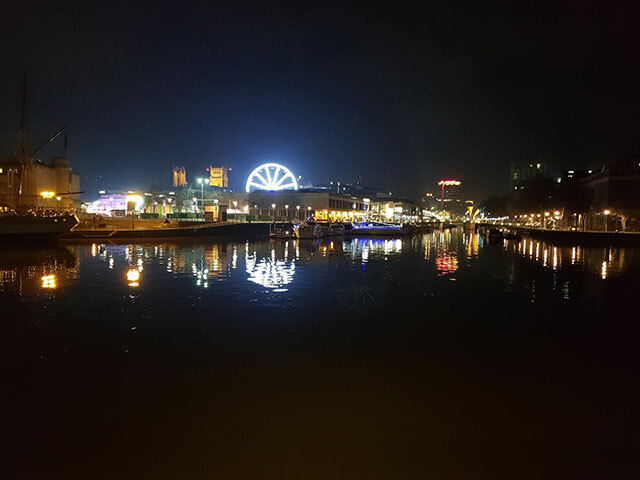 Like other UK cities, Bristol has a distinct sound and style when it comes to music, producing such pivotal and groundbreaking artists, bands and producers as Portishead, Massive Attack, Tricky, Roni Size and Neneh Cherry. Reggae, jazz, drum & bass, ska and a thriving indie scene mean the city is a musical mecca for the south-west. Bristol is also well-known as a city of festivals, hosting close to a festival a week in the warmer months. Highlights include Love Saves the Day, Simple Things, Bristol Pride and the world-famous Balloon Fiesta. The birthplace of Banksy, Bristol also commands a huge artistic influence with the city playing host to what has now become the largest annual graffiti festival in Europe, Upfest. Multi-disciplinary art exhibitions and events can be enjoyed all year round at artist-led initiatives such as Brunswick Club, Caraboo Projects and The Island, as well as at larger public galleries the Arnolfini and Spike Island. Bristol’s celebrated culinary scene has gone from strength to strength in recent years. Tuk Tuck, The Canteen, Jamaica Street Stores, Flour & Ash, Sky Kong Kong, Dela, Pasta Loco and Yurt Lush are just a few highlights, with Wapping Wharf’s recent Cargo development significantly bolstering the scene and providing a home to scores more of the UK’s most exciting young restaurants. In fact, the city’s culinary scene is so vibrant and fast-moving that it’s hard to keep up sometimes. A foodies dream, that’s for sure. The city is also home to several established Michelin star restaurants including Wilks, Casa Mia and most recently Bulrush. Other Bristol favourites include the best steak this side of Hawksmoor at the Ox, Italian from Rosemarino or Bosco and authentic tapas from Bravas or Poco. Bristol boasts a number of independent wine merchants such as Corks of Cotham and Grape & Grind. A particular treat for lovers of really well-made cocktails, are the city’s lauded speakeasies Hyde & Co, Her Majesty’s Secret Service and the Milk Thistle. If you’re more of an ale person, then you’ll love the city’s burgeoning and exciting independent ale scene. Bristol is a city that takes its drink as seriously as it takes its food. Moor brewery, Good Chemistry, Bristol Beer Factory, Left Handed Giant, Wiper & True are just a few of the city’s up and coming independent craft beer breweries. Plus there’s Bristol Beer Week and the amazing East Bristol Brewery Trail on top. Bristol also has several food festivals, including Bristol Food Connections and Vegan Fest. Bristol is one of the UK’s most independent cities in terms of its shops, cafes and bars and it’s easy to get a real sense in the pride Bristolians take in this. As such the city is home to a whole raft of successful artists, designers, artisan and craftspeople. Perhaps no other road in the city represents Bristol’s fierce dedication to independence than Gloucester Road and Stokes Croft. This uninterrupted boulevard of independent bars, cafes, delis, record, charity and bric-a-brac shops. Bristol also boasts a number of independent food markets, selling all manner of mouth-watering foods, fresh produce and unique products. Most famous of these is St Nick’s market, situated in the city’s historic centre and which now features a vegan market, every Monday. Other markets include the Harbourside Market, Tobacco Factory Market, Whiteladies Road Farmers’ Market. With a commitment to build a large arena in the city and continuing inward investment, Bristol’s future looks very bright indeed. Backing onto Temple Meads train station is Bristol’s burgeoning Temple Quarter, dubbed the city’s Central Business District (CBD) and this continues to expand with work due to begin soon on the University of Bristol’s new £300 million Temple Quarter Enterprise Campus, which will regenerate the area. The campus will include a £43 million Quantum Technologies innovation hub. With economic forecasts placing Bristol over London in terms of economic growth (coming in third, behind only Manchester and Reading) the future looks very bright for Bristol indeed. At 11.6% Bristol’s population is growing faster than the UK average of 8.2%. If this trend continues then Bristol’s population will hit 545,000 by 2039 (an increase of just over 100,000 people). The future for all freelancers, small businesses and startups in the UK is uncertain at the moment but compared to other ‘core’ cities in the UK, the West of England LEP has the highest annual growth rate at 6.2% per year and remains the most productive per head. This puts Bristol on a very sound footing for the future years and decades.